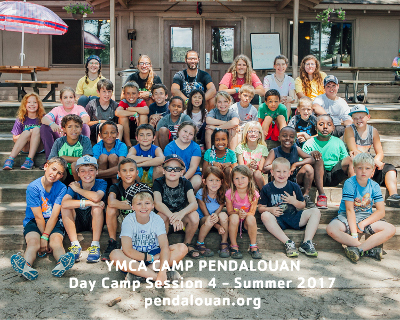 Day Camp the Pendalouan Way! Swimming, canoeing, rowboats, large group games, archery, songs, crafts and hiking. Choice activities include: climbing wall, outdoor cooking, bb guns, sling shots, high ropes (ages 10 and up) and special weekly activities. Horseback riding for 9-12 year olds is offered at an additional fee. Pendalouan's curriculum provides great memories and tired but happy kids at the end of each day. Campers should bring a swimsuit and towel each day and dress appropriately for the weather. Check in/out will be at the pavilion. "Lily loved all the activities. 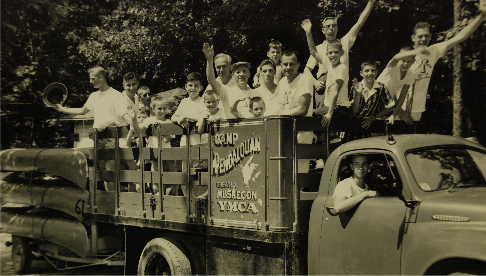 Pendalouan provided an atmosphere that promoted friendship, faith, and fun!" "He loved all of it. From the swimming, to the horses, and the other activities - he didn't want to leave."